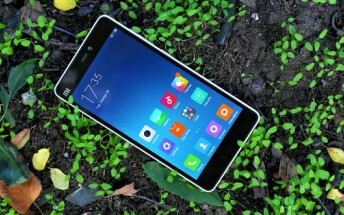 Xiaomi Mi 4c passed through our review with flying colors – we were very pleased with its performance and still camera quality. Today it’s time to give its battery life our traditional breakdown treatment. The Mi 4c runs on Qualcomm’s Snapdragon 808 and its USB Type-C port is fast charging-enabled. Xiaomi even provides you with a proper power plug to charge its 3,080 mAh blazing-fast. Our first test measures the 3G talk time endurance and the Mi 4c did great here – it lasted about 18 and a half hours before its battery went dead. The web browsing endurance is very important today and the Mi 4c seems well equipped to last very long browsing sessions – it ran our dedicated web script for 9 and a half hours. The script mimics real-life usage, so it should be accurate enough to give you an idea of how long you will be able to browse the web from Xiaomi’s Mi browser. The Xiaomi Mi 4c has a 5" IPS 1080p display, which may not be that big, but it will still do for watching movies and YouTube videos. The Mi 4c lasted almost 11 hours on a looped video playback before its battery level dropped down to 10%. So, in our battery test the Xiaomi Mi 4c scored a 52h rating, which means you can count on a little over two days if you do an hour each of calling, browsing and video playback a day. While the phone does well in the three separate tests its standby endurance is disappointing at about four and a half days. Opting for using the device with two SIM cards will cost you one day of standby and bring it down to just three and a half days. So the dual-SIM endurance rating is 45 hours, which is far from OK.